Shawntel Michole Cruz from La Union is our Candidate #1 for Miss World Philippines 2017. 20-year-old Shawntel is not new in the glitz of pageantry as she was the reigning Mutia ti La Union Turismo 2017 and Miss Virginia Tobacco 2017 in Ilocos Sur. It’s pretty clear that Shawntel has both beauty and brains. A true achiever, Shawntel graduated in elementary with honor, Valedictorian in high school and a consistent Dean's Lister in College. 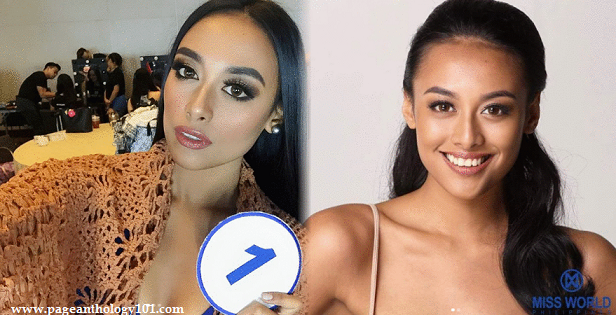 This Aces and Queens' bet has been named as one of the finalists in the Miss World Philippines 2017 talent portion, one of the activities held before the pageant's September 3 coronation night. She sang a song she personally composed.